Monica is an associate attorney. She focuses on helping people secure disability insurance and other benefits under the Employee Retirement Income Security Act (ERISA). 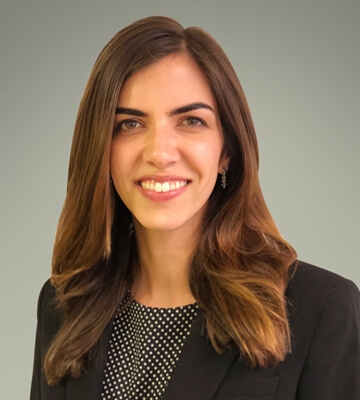 Prior to joining Kantor & Kantor, Monica advised technology industry clients on areas of employment, corporate, and intellectual property law at a boutique law firm in San Francisco. While attending Stanford Law School, Monica externed for Judge Lucy H. Koh in the Northern District of California. She also provided pro bono advising to bay area non-profits as part of a student clinic. Previously, Monica spent three years working in the legal department at Google. Monica grew up in Los Angeles and now resides in Berkeley, California. In her free time, she enjoys biking and watercolor painting. Representing Clients Throughout California. Do not navigate through the legal complexities that are ahead without our supportive assistance and effective legal representation! We know how to get your insurance claim paid.